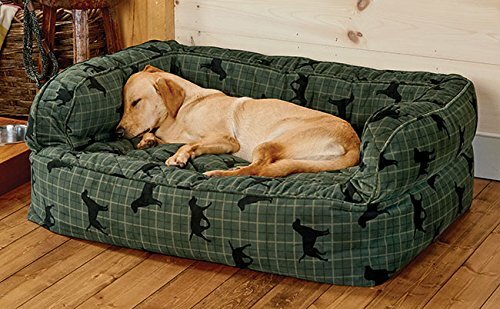 This Memory Foam Couch Bed gives your dog a whole lot to love. 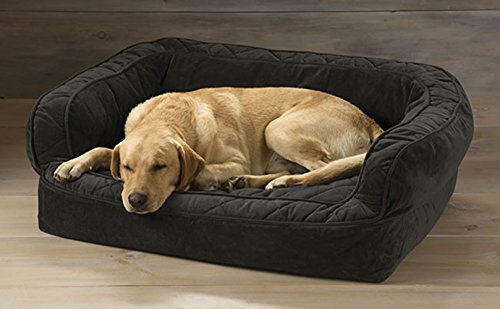 The supportive 4″-thick memory foam cushion is calibrated and designed specifically for canines—promising to reduce pressure on joints, support muscles, and improve circulation. 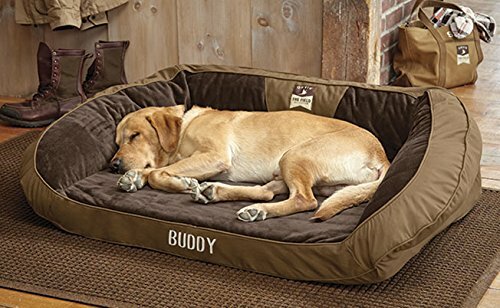 The plush polyester-filled, double-stacked bolsters promise to stay in place, and provide a sense of security and ultimate comfort for your dog. And the velvety-soft microfiber cover, with piping along the bolster edges, looks as good as it feels. 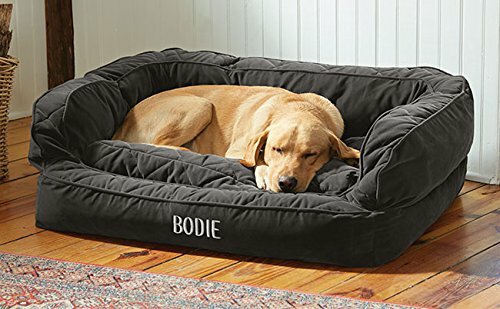 A water-resistant liner protects the memory foam. Cushion is removable. In brown tweed, slate, moss, heathered khaki, heathered gray. Polyester cover. Cover is removable and washable. Please allow 2 extra days for delivery. Imported. 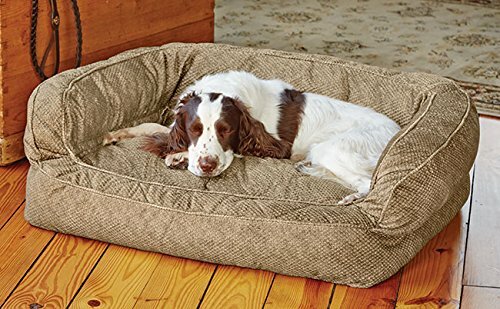 Orvis Field Collection Memory Foam Bolster Dog Bed/Small Dogs Up to 40 Lbs.